Heat oven to 400°F. Spray 24 mini-muffin cups with cooking spray. Bake 15 to 20 minutes or until golden. Cool 5 minutes. Loosen sides of tarts from pan; remove from pan. Refrigerate any remaining appetizers. 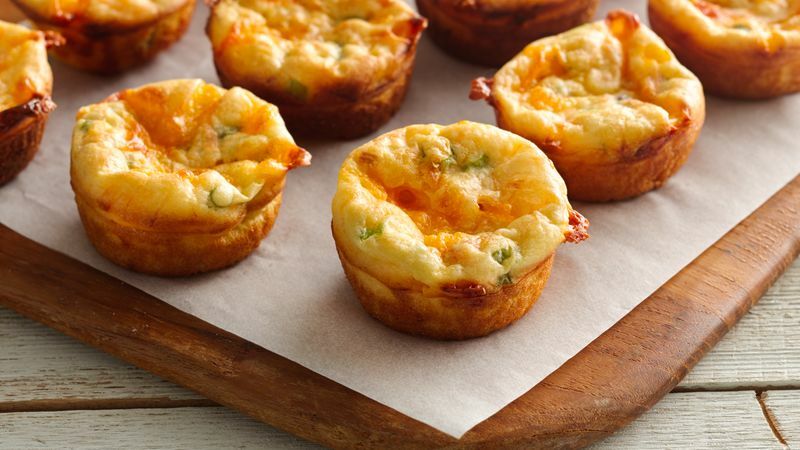 Use a rubber spatula to easily remove batter from the tablespoon and guide it into muffin cups. Wipe any excess batter from top of muffin pan to prevent burning. For an elegant party tray, arrange smoked salmon tarts alongside carrot curls, green onion curls and celery curls.